Predictive marketing is a hot new technology that’s been gaining ground providing marketers a better way to score leads. With the rise of ABM, B2B marketers are beginning to see the value of applying predictive technologies to drive their ABM strategy. Unlike traditional lead generation, predictive can identify the best target accounts that will most likely buy, discover non–intuitive insights for personalized messaging, and more. 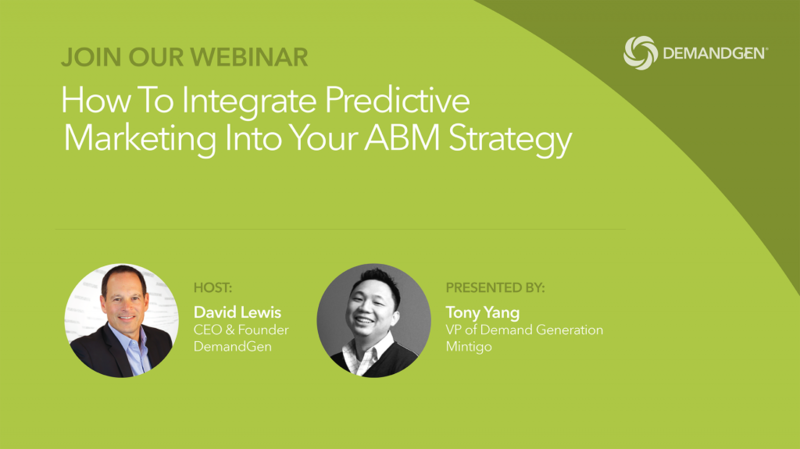 In this session, we will share examples of how predictive marketing can power your ABM strategy.